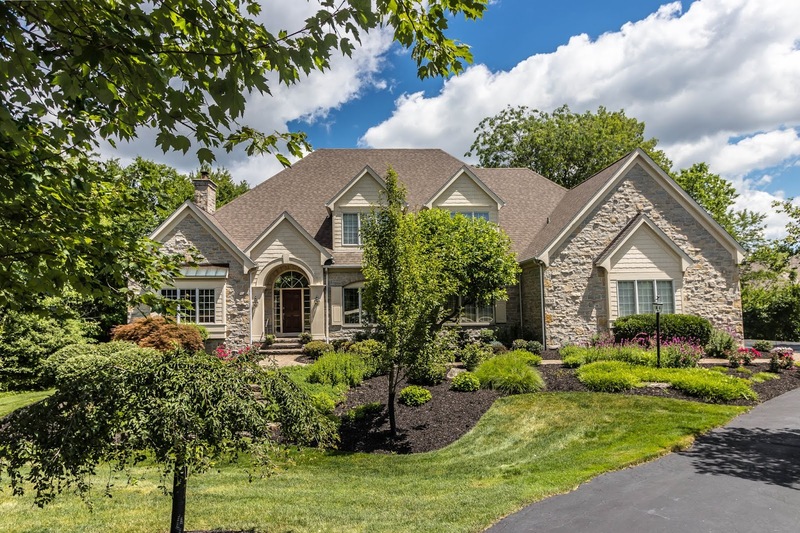 Two-story home nestled onto a very scenic and wooded 1+ acre lot with ~6,000 SF on 3 finished levels. Vaulted and expansive Great Room with stone fireplace, wet bar and doors to multi-level deck. Gorgeous Brazilian cherry wood floors everywhere! Kitchen has brand new KitchenAid stainless steel appliances and ceramic cooktop (05/2018) with granite countertops. Master Suite with his and hers walk-in closets and private Bath with garden tub. Full, finished walk-out Lower Level with Recreation Room, Family Room with stone fireplace, full Bath and 5th Bedroom (perfect In-law/Teen Suite). New roof, decks, garage door, H2O heater, A/C, furnace and more! 5 BRs, 4 Baths and 2 half Baths. Olentangy schools. Only $745,000! Call DeLena Today!